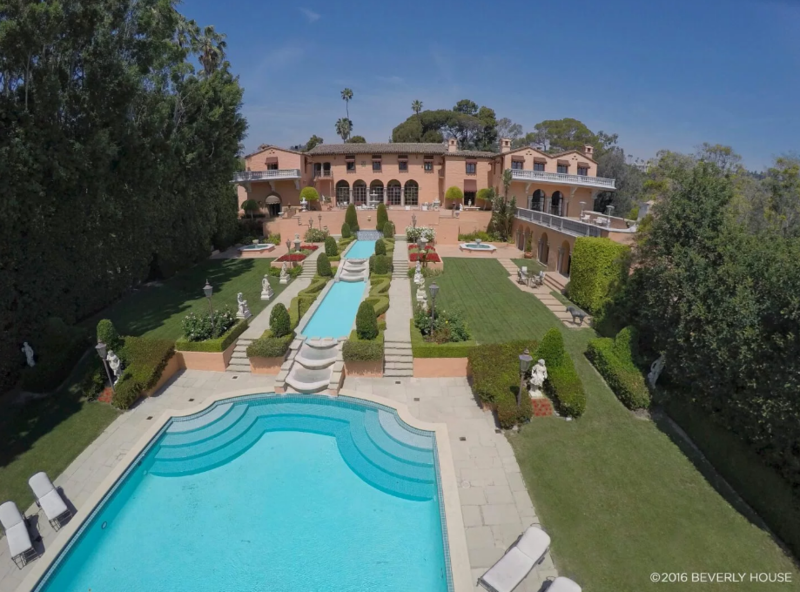 This historic estate, dubbed “The Beverly House”, is located at 1011 N Beverly Drive in Beverly Hills, CA. 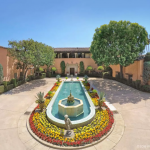 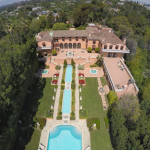 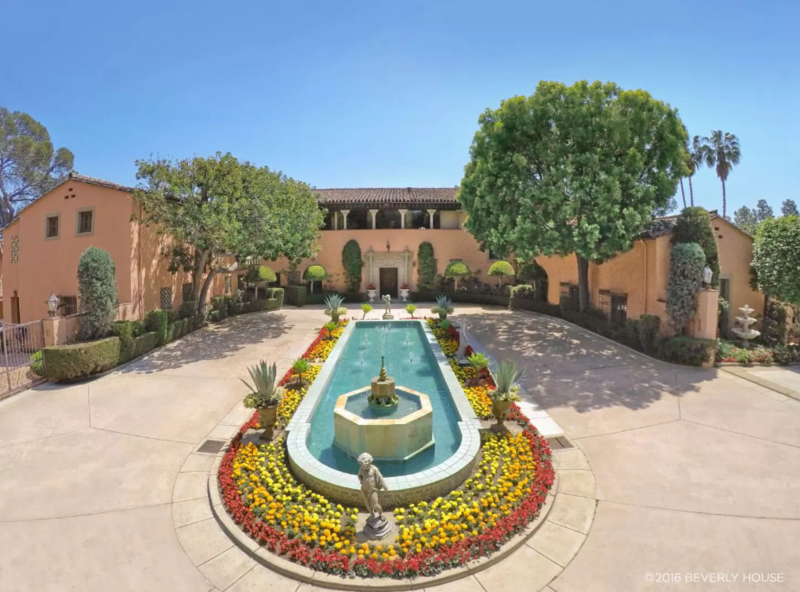 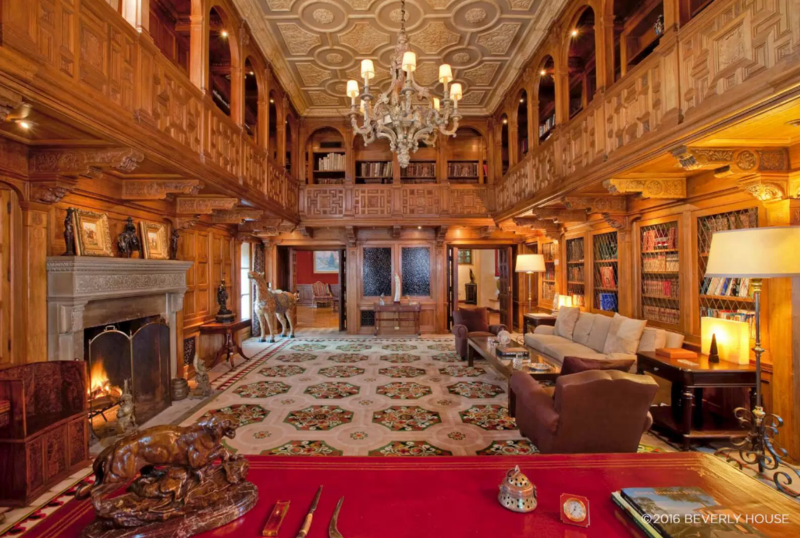 It was built for local banker Milton Getz and later owned by publishing magnate William Randolph Hearst and actress Marion Davies. 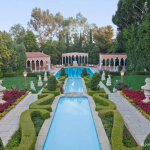 It was first listed in 2007 for $165 million by owner financier Leonard Ross. 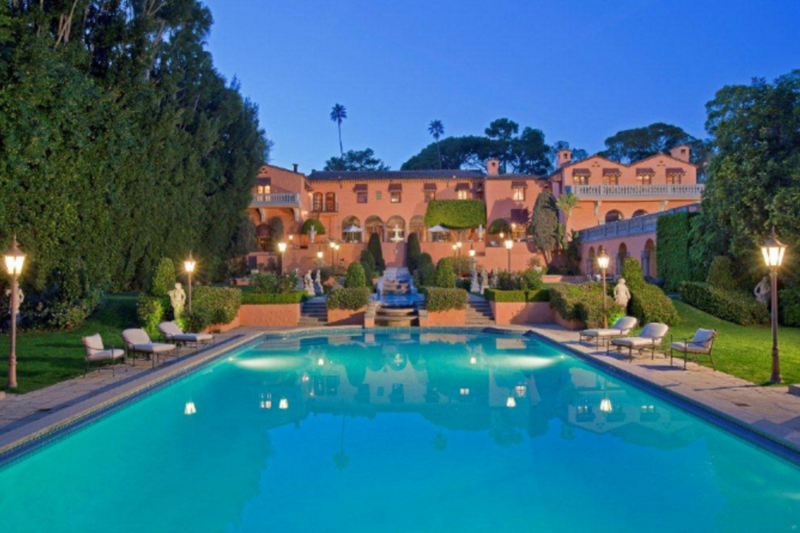 The price then fluctuated throughout the years and was lasted listed at $135 million back in 2014. 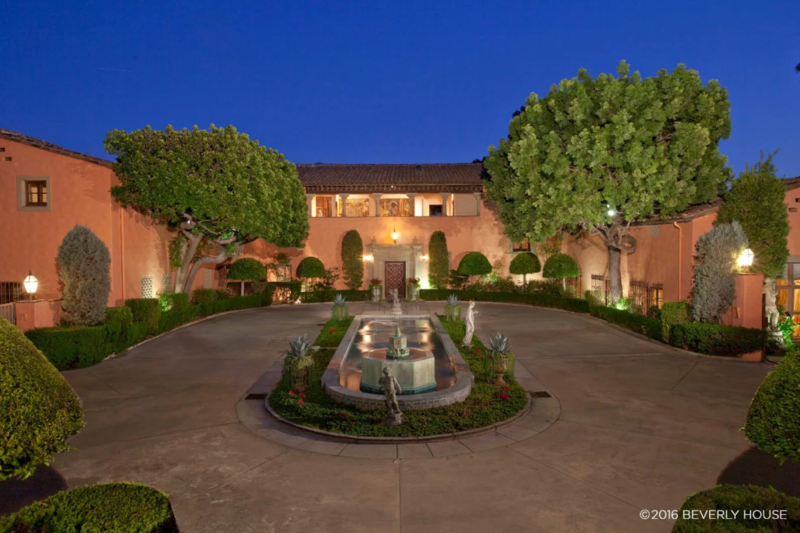 It features a main house, 2nd home, cottage and security house with approximately 50,000 square feet of living space. 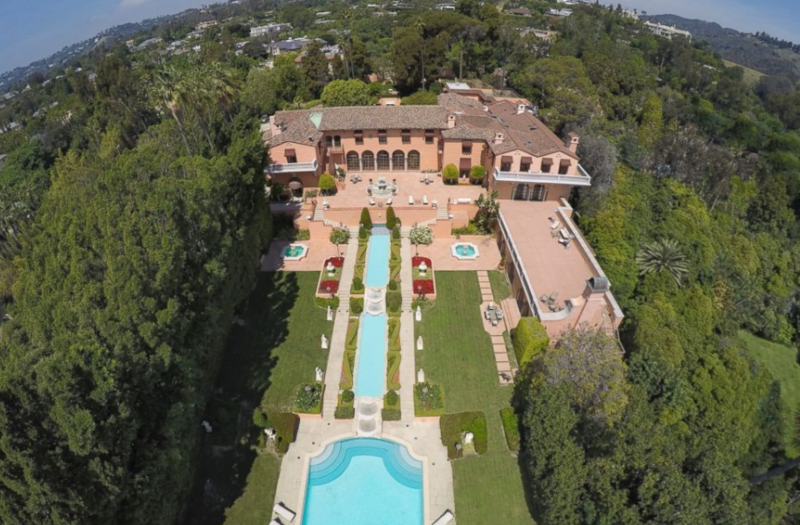 There are a total of 30 bedrooms & 40 bathrooms. 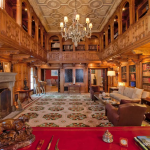 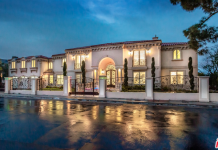 The main house features grand formal reception rooms, 2-story library, billiards room, wet bar and much more. 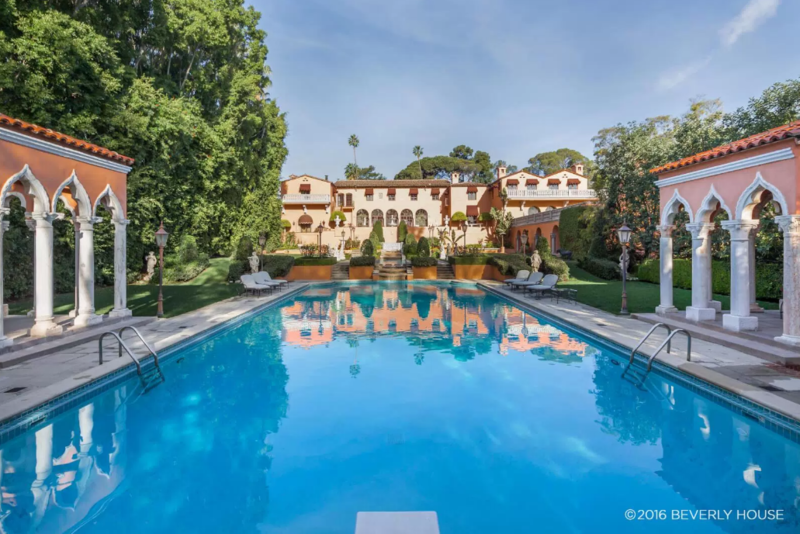 Outdoor features include a gated entrance, motor court, terraces & loggias, lighted tennis court, swimming pool, fountains and two ponds. 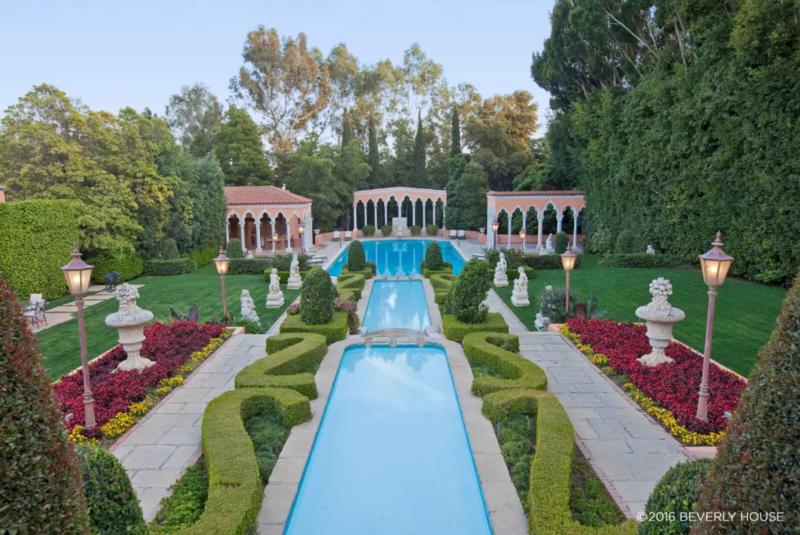 It is listed at $195,000,000, tying it with the “Gemini” estate in Manalapan, FL for the most expensive property currently for sale in the country.